The logo is the most important design element both above the entrance and on primary building sides. 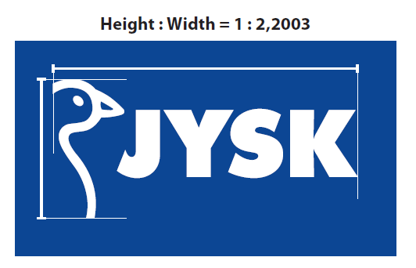 The goose is a fixed part of the logo and should always be shown in combination with the JYSK letters and in the exact size and scale as shown in this guideline. 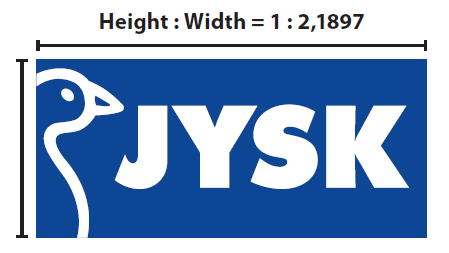 The JYSK logo must by no means appear in other colours or using other fonts, as this will create brand confusion. Whenever possible we always create the store front sign in the exact format as the logo reflects. The logo is available in different constructions/versions. Choose the appropriate signage solutions that fits the surroundings.